I typically don’t share fish recipes on this blog, but I’m going to make an exception here. 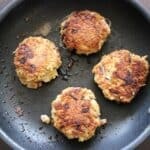 Because you can’t not know about these fish cakes. 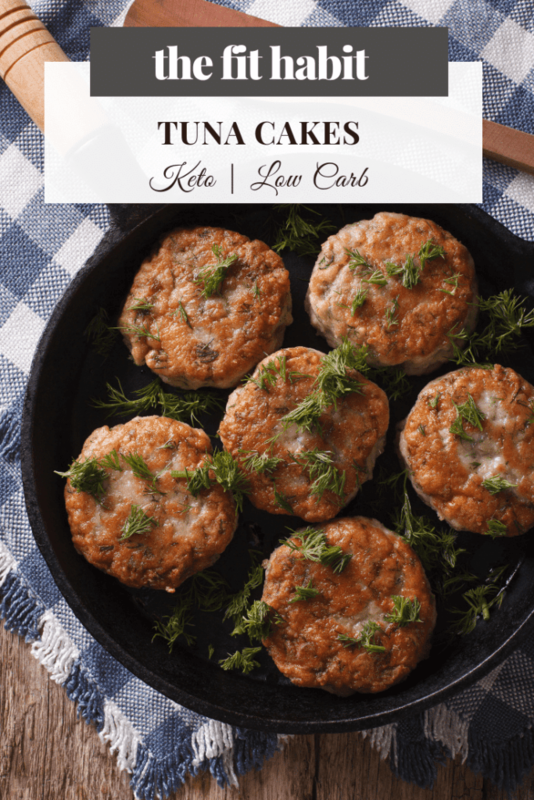 I’ve been working on mastering the “fish cake” for some time now…mostly because they’re a great option when there’s little else than a can of old tuna in the cupboard. Previous attempts at fish cakes have been quite disastrous, and I think I know why. You can’t use watery veggies or else it throws off the burger-like balance and they start looking like lumpy pancakes, bleeding watery guts all over the pan. Finely chop veggies and add to a bowl with the rest of the ingredients. Mix until it becomes a lumpy mash. Cook for about 6 - 8 minutes, then turn over and cook until browned. These look great but when i calculate it my nutrition breakdown is not the same, I am assuming you must be using a different size of canned tuna than me, could you let me know the can size? Not only for nutrition but to make sure I have the right ratio of tuna in there. Thanks! I used my fitness pal to figure out the macros, so they might not be completely accurate to your ingredients, but just go with one small can.